Ship Size: 24.75" x 11" x 10.75"
Product Size: 24" x 10.5" x 10"
Dealing with crammed kitchen cupboards and opening up useful space has never been easier, with this wire rack for twelve 750ml DaVinci Syrup bottles. Perfect for easy display and dispensing. 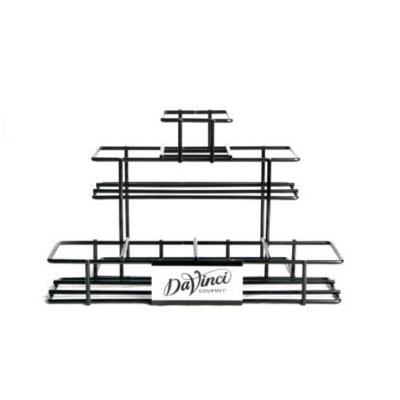 Please note this DaVinci bottle rack holds DaVinci syrup 750ml glass/plastic bottles or Dolce Syrup plastic bottles. It does NOT hold Torani or Monin syrup bottles.